TCV Food Bank and Thrift Store provides emergency grocery assistance to almost 6,000 families in Alameda County every month. Over the last 7 years, our numbers have exponentially increased. The map above demonstrates our client population in the Tri-Cites, where over 80% of the families who rely on us live. Each dot represents one family. 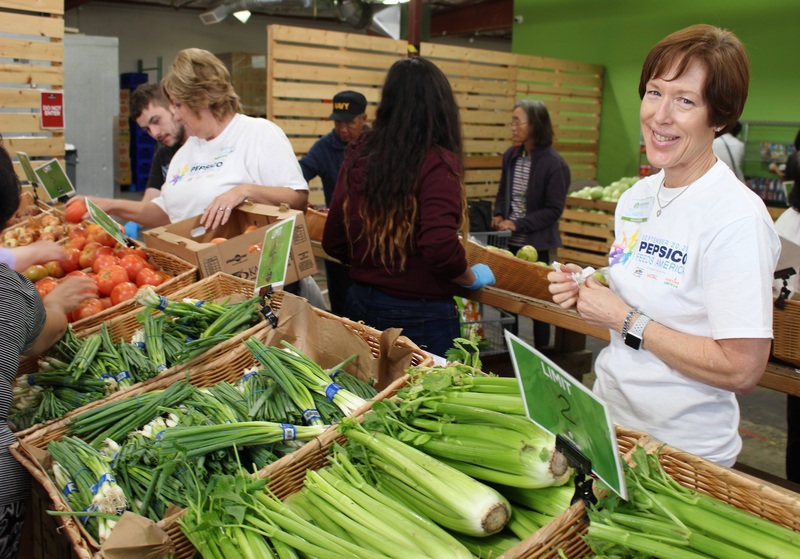 To eliminate hunger and promote financial self-sufficiency in Alameda County, by distributing food and providing volunteer opportunities in order to improve the quality of life for all in our community. To be California’s leading client-direct food bank by providing the highest possible quality food and services that address the social causes of hunger. eer force of almost 1,900, and a budget that barely breaks $600,000, we are extremely efficient in distributing over 6 million pounds of food annually. We serve all low-income residents of Alameda County. Many of our clients come from migrant families, are under-employed, or are facing unemployment due to disability, a lack of relevant work skills, or other barriers. Tri-City Volunteers was founded in 1970 by a group of community members who saw a need for better food security in the tri-cities of Fremont, Newark, and Union City.